Silver Dollar Games is pleased to release a demo for its highly-anticipated sequel, One Finger Death Punch 2 (OFDP2). The demo gives players roughly 45 minutes of fast-paced action controlling the chosen one (AKA white stick figure) as he fights his way through wave after wave of bad guys. 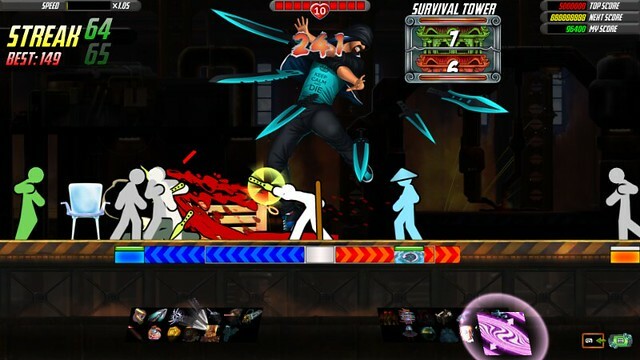 Using his advanced martial arts techniques, various weapons, deadly skills, and surroundings, players can Eagle Claw their way through the tutorial and then Plum Flower Punch a handful of levels from the game’s first map. Today’s demo will serve as a dumpling-sized appetizer to the full OFDP2 experience. Couch-potato combatants can expect over 400 levels, 15 level types, 4 endless survival modes, and two gauntlet run game modes all while helping the chosen one learn a total of 26 new skills.